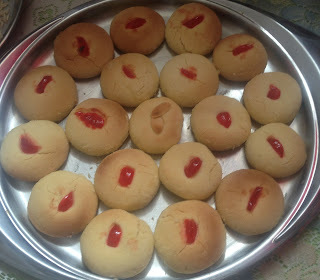 Nan Khatai is an eggless, cardamom flavoured biscuit which is perfect for tea-time! Sift flour and add sugar and cardamom powder. Mix well. Melt the clarified butter on low heat. 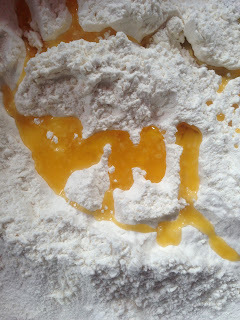 As soon as the melted clarified butter has cooled down, slowly add it to the dry ingredients. 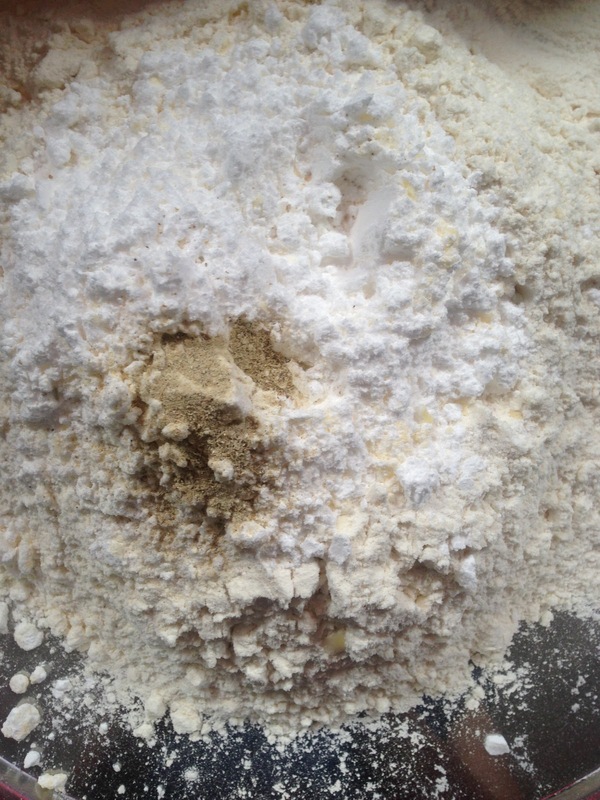 Mix with a wooden spatula (I used my hands) to obtain a soft dough. Add more butter if needed. Make small balls from the dough and flatten them with the palm of your hands. 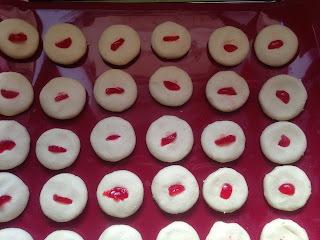 Place the balls on baking sheet with parchment paper (Im using a silicon baking sheet). 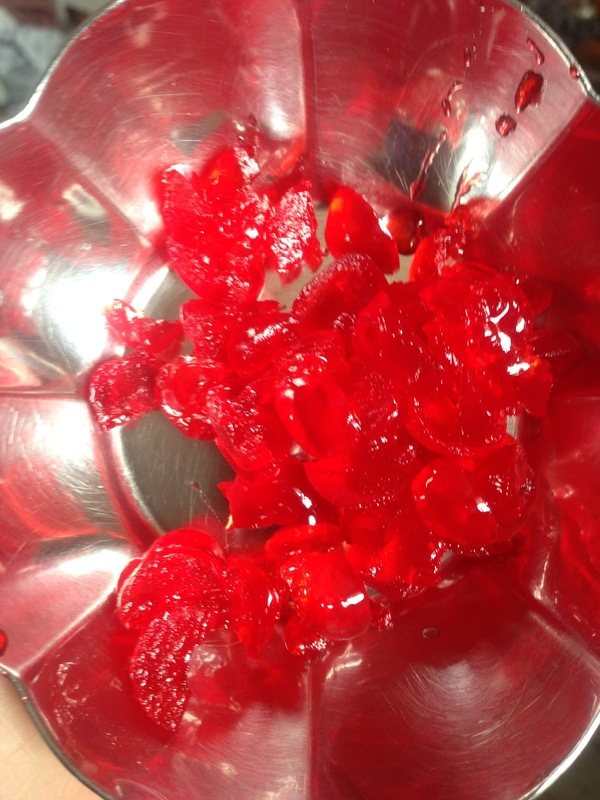 Lightly press the centers with a knife (I preferred placing a glace cherries and almond flakes on top!). Bake at 180˚C until golden brown. Serve when cooled. 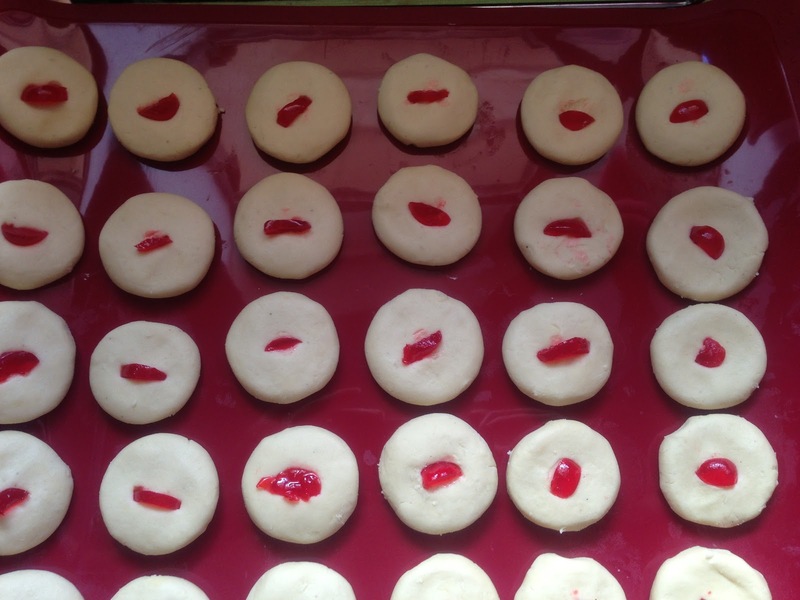 The cookies can be stored in an airtight container for up to months.